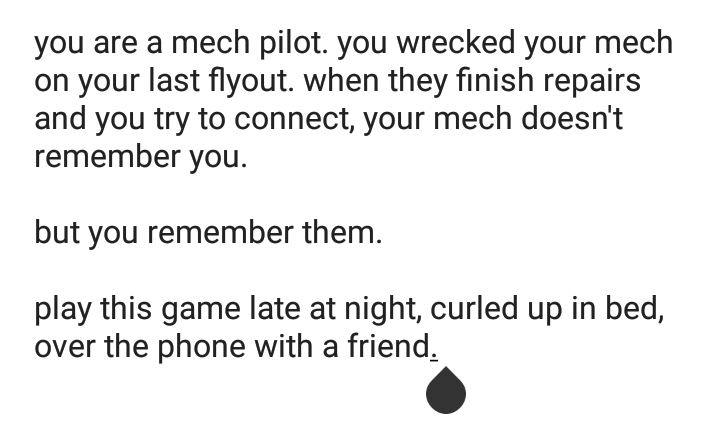 a two-player game about a mech who's forgotten their pilot after major repairs, played over a quiet night in the dark. 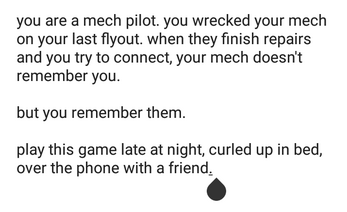 play either as the pilot, lonely, or the mech, uncertain. no mechanics or other gaming tools required. just you, a communication device of some kind, and the space between the two of you. 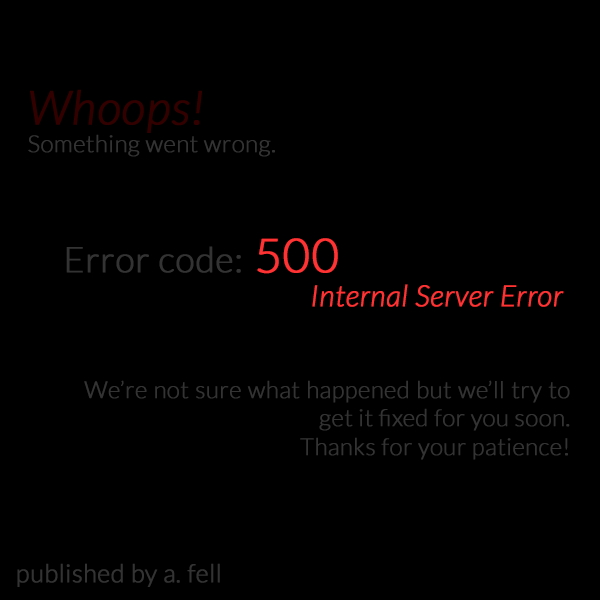 i have tried to provide as many accessible versions of the pdf as i can but if you require a different format please shoot me an email at starrilynight@gmail.com or a twitter DM at citadelofswords and i will do my best to accommodate you. additionally if the price of the game is a hardship for you, even at minimum price, email or DM me and i'll get you a download key, no questions asked.